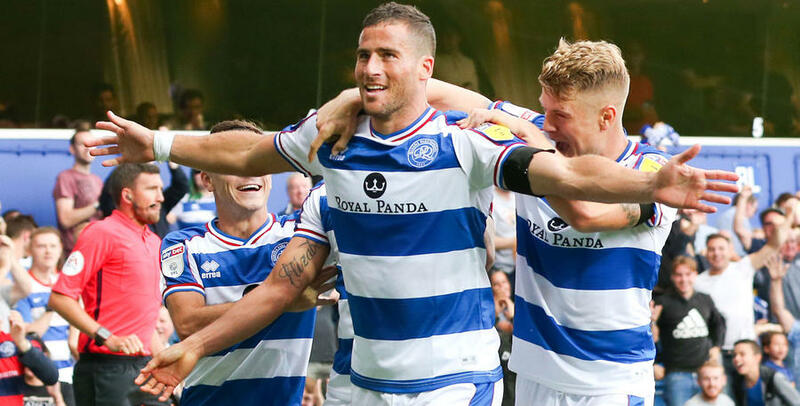 TOMER Hemed netted the only goal of the game on his QPR debut, as Rangers picked up their first win of the Sky Bet Championship campaign against Wigan Athletic at Loftus Road. This was far from a thrilling spectacle, and understandably a tense one at times, but what matters most is that Steve McClaren’s men battled their way to three much-needed points. Brighton & Hove Albion loanee Hemed struck the crucial blow 10 minutes before the break – hooking home with his left foot from eight yards following a Luke Freeman corner kick. 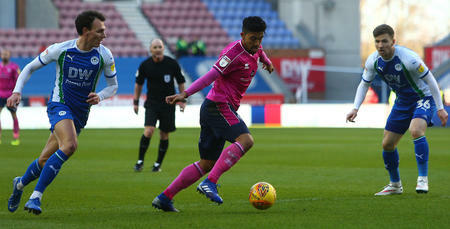 New loan captures Hemed and Nahki Wells were both handed their debuts for the visit of in-form Wigan, as Rangers made four changes in total following the midweek defeat to Bristol City. Joe Lumley also started in goal for the R’s, while Joel Lynch returned to the side at centre-half. Matt Ingram, Alex Baptiste, Conor Washington and Pawel Wszolek all dropped down to the substitutes’ bench. QPR lined up in a 4-2-3-1 formation: Lumley; Angel Rangel, Toni Leistner, Lynch, Jake Bidwell; Josh Scowen, Massimo Luongo; Freeman, Wells, Ebere Eze; Hemed. 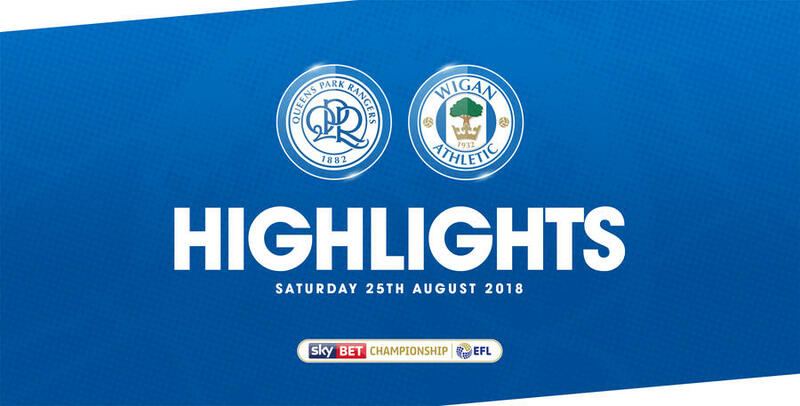 Indeed, a sweeping home move in the seventh minute – involving Hemed, Freeman and Wells – ended with the latter shooting straight at Latics goalkeeper Christian Walton on the angle. However, the visitors looked threatening on the counter attack, going close three times inside the opening quarter hour. Nick Powell’s rasping 20-yard effort was held well by Lumley in the 10th minute, before the R’s custodian was forced into a fine fingertips stop to deny Josh Windass from similar range four minutes later. And from the resultant corner, Powell headed just inches wide of the left-hand post. Wigan grew into the game and enjoyed the better of the possession as the first half developed. But it was Rangers who would go in ahead at half-time, following their opening goal in the 35th minute. Freeman’s out-swinging corner was headed towards the six-yard box by captain Leistner, before something of a scramble ensued. Brighton loanee Hemed then pounced to hook the ball home left-footed from eight yards. Into the second half, and McClaren’s side – now a goal to the good – started promisingly. Just seconds after the re-start, and following some neat build-up play, Wells pulled the ball back from the left flank for Freeman to fire into the side-netting from 12 yards. After that, real opportunities were few and far between for much of the second period – which was rather scrappy. It took until the 66th minute for the next notable effort to arrive – Will Grigg’s low 16-yard blast repelled by Lumley. Then a minute later, Powell sent a glancing header into the arms of the R’s ‘keeper. Much like the opening half, Wigan had more possession after half-time. Though Rangers defended their goal stoutly. At the other end, meanwhile, Hemed pulled an effort wide from the edge of the box with 15 minutes remaining, after spinning away from his marker. Then in the 80th minute, Wells’ curling 20-yard effort forced a flying save from Walton. Wigan so nearly registered a late, late leveller. In the 84th minute, Chey Dunkley rose highest on eight yards to meet Lee Evans’ teasing left-wing free-kick. Thankfully, though, the ball dropped marginally wide of the left-hand post – with Rangers able to toast the victory they’d been craving come the full-time whistle in W12. One-nil to the Super Hoops. 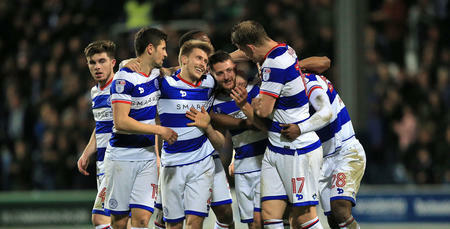 WATCH highlights from QPR's 1-0 win over Wigan Athletic at Loftus Road on Saturday afternoon.